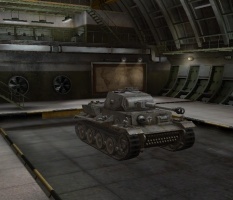 The VK 36.01 (H) is a German tier 6 heavy tank. This tank was the first prototype of Germany's Pz.Kpfw. VI Tiger. It's a average combat tank, without any particular strongpoint. It is very prone to being ammo racked and having its crew members killed. 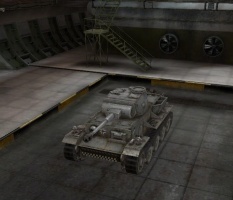 Since the armour is not sloped at all, it is always recommended to partially angle your armour to 30 degrees in this tank. 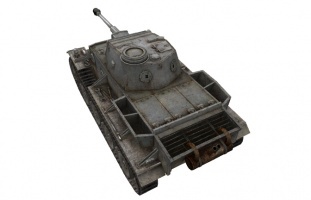 Patch 8.8 changed the VK 36.01 (H) from a agile great medium tank into a slow cumbersome heavy. While it received an DPM and HP buff, the tank on overall is performing significantly worse now. 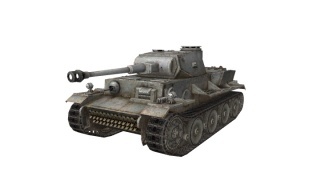 The VK 36.01 (H) leads to the Tiger I. 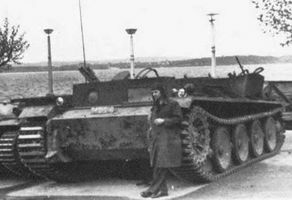 The transformation into a Heavy Tank was not good for the VK 36.01 H. Its armor remains worthless and the DPM increase cannot compensate for the fact that the 8,8 cm gun is a very poor choice compared to competing heavies on the tier. The 8,8 cm guns lack the accuracy to make its poor penetration work and its unimpressive alpha means that there are tier 5 tanks that can out trade you. Hitpoints may be above average, but then the majority of tier 4 tanks can hurt you at any range. 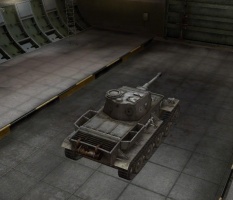 The armor is so lousy, you have the real risk of getting oneshotted by 150mm howitzers found on the KV2 and O-I. 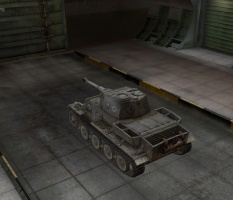 The 7.5 cm gun is much better, but its alpha damage is not suited for a heavy tank brawling gamestyle. For a sniper, the camo rating of the tank is far to bad. Sidescraping can work due to the armor scheme. 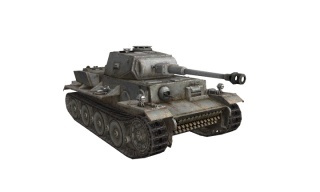 The VK 36.01 (H) doesn't have the best maneuverability and has horrible turret traverse. 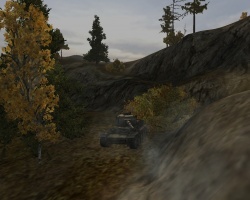 While its top speed is only slightly slower than most medium tanks of its tier, its traverse speed is abysmal. The 8.8 engine changes have also given the tank sluggish acceleration, and simply cannot dream of reaching its top speed unless going downhill. 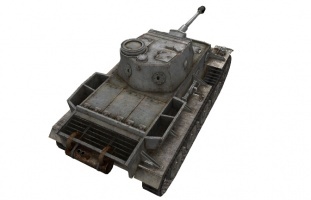 This makes the VK 36.01 (H) much better suited to frontal attacks and slug matches. It follows the German doctrine of long range firepower, so one way to counter this tank is to isolate it and then engage it close up with multiple opponents. When the situation calls for it or when you see an opening in the enemy's defenses, take advantage of this opening and harass the enemy from the rear. This tactic is useful in the mid-late game, and has the advantage of surprise, as the enemy team will most likely not expect a "slow and lumbering pseudo-Tiger" to execute a flanking attack. Can use the excellent 7,5/5,5 cm Waffe 0725, which has excellent accuracy, penetration and DPM. Can use the 8.8 cm KwK 36 L/56 which has better but still bad alpha damage at the cost of everything else. Research the suspension, You can only mount a 7.5cm gum on the stock suspension. Research the turret and engine in whichever order you prefer. The turret will add a whopping 190 HP to the tank and increase the RoF on the 7.5 cm guns, while the engine will help with the sluggish mobility. This page was last modified on 5 November 2016, at 20:40. This page has been accessed 794,533 times.